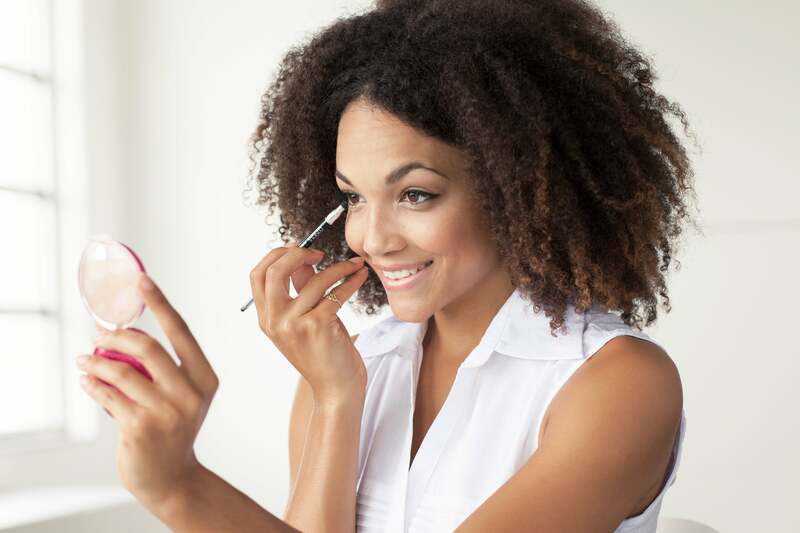 Priscilla Ono's foolproof tips are perfect for the makeup novice! When applied correctly, eyeliner will enhance the shape of your eyes and take an entire makeup look from basic to alluring. Apply it clumsily and the results are disastrous in more ways than one. If you’re feeling less than confident about your liner skills, add Priscilla Ono to your list of must-follow makeup artists. 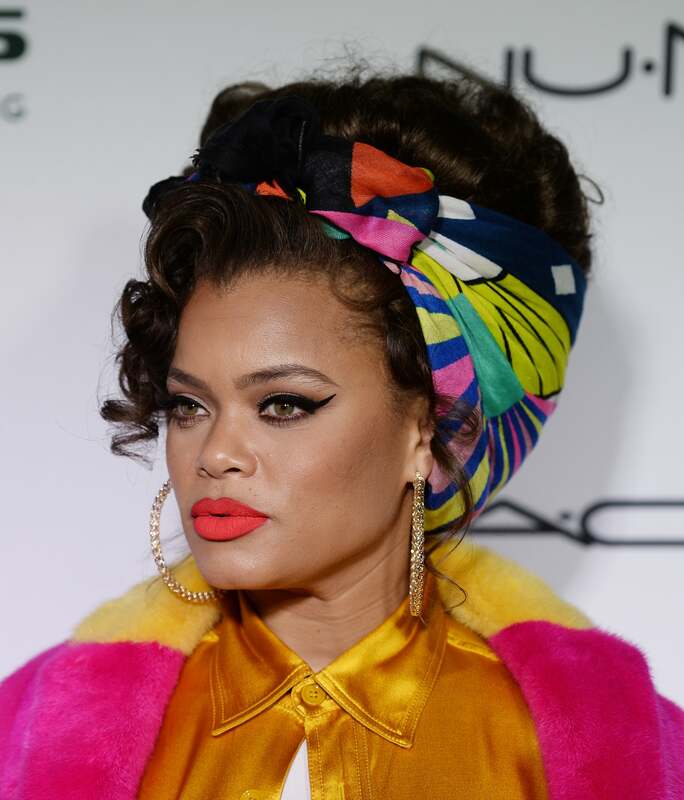 She’s known for working with A-listers like Amber Rose and Jasmine Sanders and right now, one of her go-to products is the Flirt Cosmetics Dot Dot Dot Dual Eyeliner ($22, flirtcosmetics.com), which just so happens to be the perfect liner for both beginners and experts. The fine felt tip side is ideal for creating smooth and precise lines while the dot applicator is your go-to for crafting fun designs/patterns. In short: it’s the consummate two-fer, especially if you’ll be navigating the festival circuit this summer. 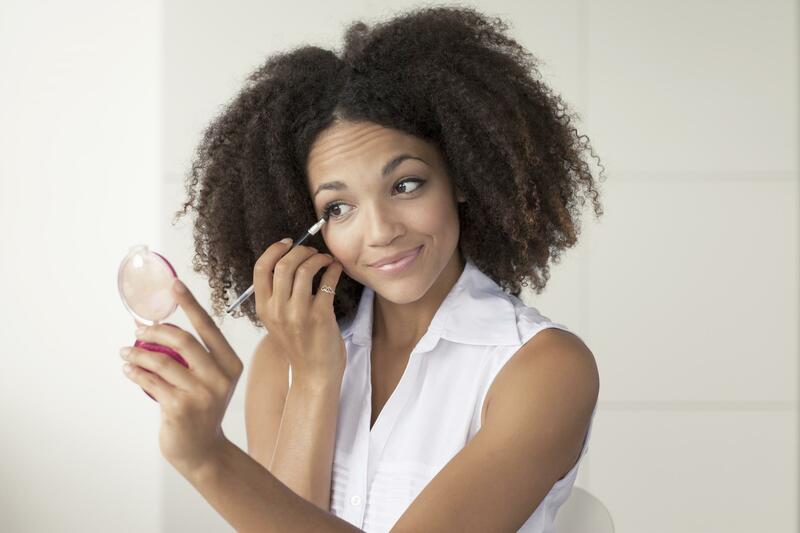 If you suffer from shaky hands or can’t seem to get your lash line and liner to meet, Ono’s core tips and tricks will set you on the path to beauty greatness. 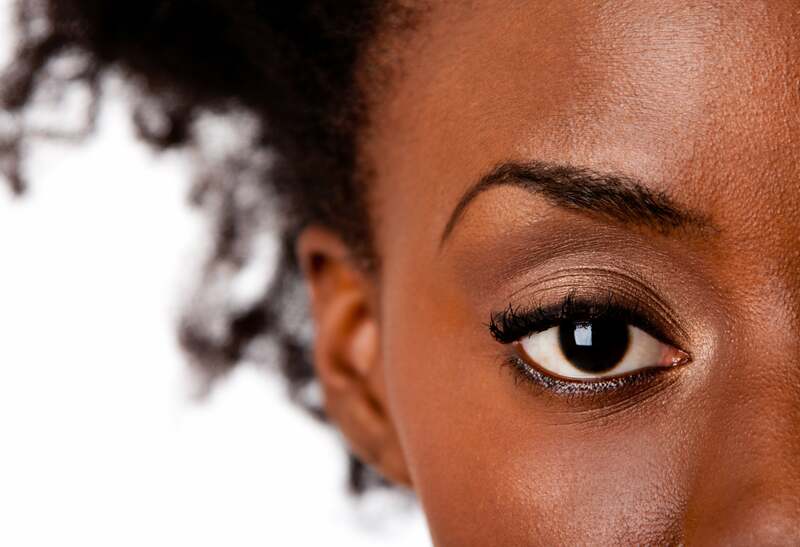 The quick and easy solutions for those eyeliner mistakes you can’t stop making are right this way! Keep scrolling and take notes. Solution: Connect the Dots! Ono says, "The trick to nailing the bold, fierce cat eye is to draw 4-6 dots across your upper lash line and link them with a straight line. The dotting tool end of Flirt Cosmetic’s Dot Dot Dot Dual Eyeliner ($22, flirtcosmetics.com) is great for laying the foundation of dots whereas the opposite end of the tool easily controls the shape of the eyeliner application for the perfect finished look. 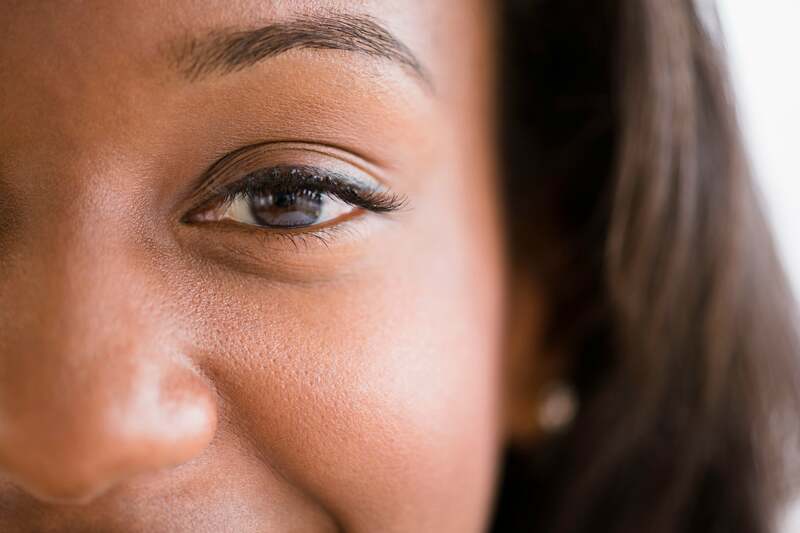 Remember to work from the inner corner of the eye and move outwards for more fluidity." Solution: Mind the Gap! According to Ono, "Eyeliner looks best when applied as close to the upper lash line as possible. You should not be able to see a sliver of your eyelid peep through. 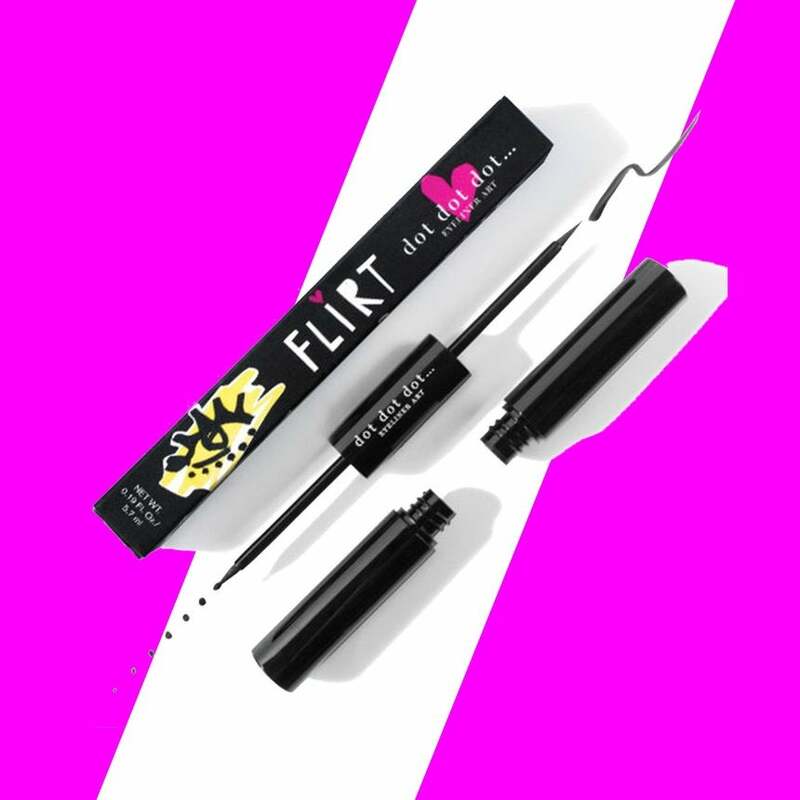 Find an eyeliner like Flirt Cosmetic’s Dot Dot Dot Dual Eyeliner with a fine tip point that can easily glide on with precision and fill in any gaps. Solution: Don’t wing it! "Creating the perfect Cat Eye ultimately comes down to the wing," Ono says. "It’s important not to pull the eye as the final look will become jagged and asymmetrical. Instead, tilt your head at a 30 degree angle and lightly draw an extended line to act as the base of the wing. From there, simply trace the line until the optimal thickness of the wing is achieved." Solution: According to Ono, "Tracing the lower lash line with dark eyeliner helps create an eye-opening effect, but if done incorrectly, crafts a tired, harsh look. She recommends finding new creative ways to accentuate your bottom lash line by drawing whimsical dots and patterns to bring added detailed texture. Solution: Since it can be intimidating to create consistent razor thin lines, Ono recommends positioning the eyeliner correctly to help achieve redefined masterful lines. She adds, "Begin by holding the eyeliner at a 45 degree angle and draw small, precise strokes to trace the natural curve of the upper lash line."